Being an adult means shopping for food and cooking for yourself on a regular basis. 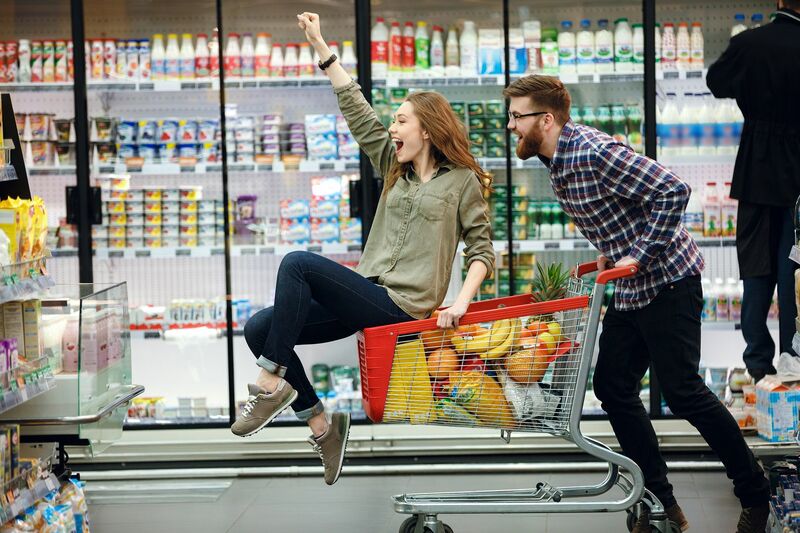 However, some millennials seem to find this task too complicated and feel grocery stores don’t adequately serve this younger demographic. According to a USDA’s Economic Research Service report, when looking at millennials’ shopping carts they found “an increasing appetite for fruits and vegetables and less animal proteins.” Some millennials seem to lack the common sense to get off of twitter and grocery shop for produce that can be purchased one at a time. You can buy one apple, one orange, one onion, one carrot, and one head of broccoli. How did she miss this? 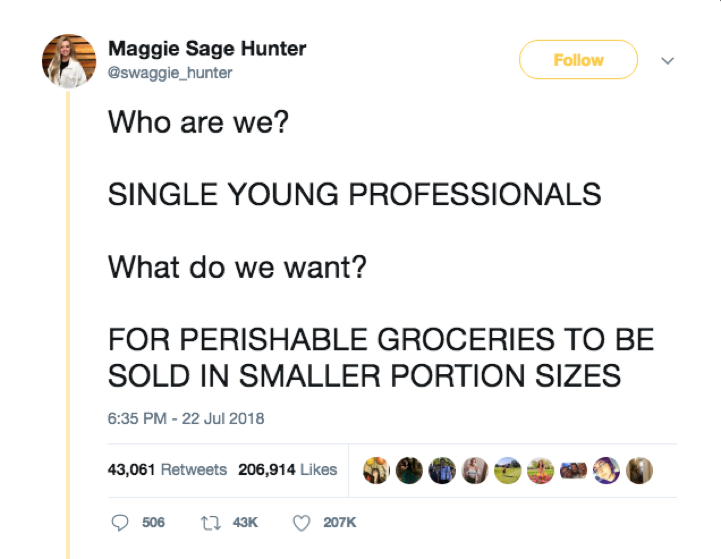 There’s another way Maggie could find smaller portion sizes—she could venture into the canned food and freezer aisles. In some cases, frozen food is healthier than fresh. There has been a lot of fear mongering about processed foods that has brainwashed people into thinking organic is better—despite evidence otherwise. Young adults don’t need specialized grocery stores. They need to recognize that grocery shopping is a necessary part of growing up and it is best to make smart buying habits early on.